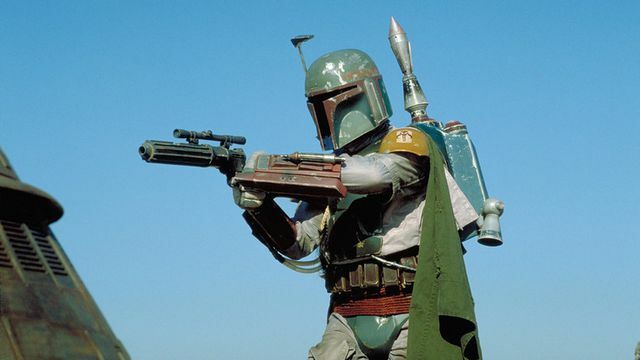 Anyone holding out hope for a Star Wars anthology film starring Boba Fett is in for a big disappointment. Lucasfilm President Kathleen Kennedy has apparently confirmed that there are no plans to move forward with that movie. The news comes from Critics Choice Association reporter Erick Weber, who caught up with Kennedy last night at a special screening of Marvel Studios’ Black Panther. You can check out Weber’s announcement via Twitter below. Though unfortunate, Kennedy’s update on the project isn’t very surprising. Lucasfilm was said to be putting all Star Wars spin-offs on hold this summer after Solo: A Star Wars Story delivered underwhelming box office numbers. Before that, Logan helmer James Mangold was announced as the writer and director of the Boba Fett film. Other movies rumored to be in the works included an Obi-Wan Kenobi feature directed by Stephen Daldry as well as a Yoda film. Ideally, the former would have seen Ewan McGregor reprising his iconic role from the prequels. New film trilogies from Rian Johnson and Game of Thrones creators David Benioff and D.B. Weiss are supposedly still happening. News of a Boba Fett standalone feature materialized as early as 2013, two years before the Star Wars franchise made a comeback with The Force Awakens. Presumably, the spin-off would have traced the Mandalorian’s journey after his father’s death in 2002’s Attack of the Clones. The film also could have taken narrative cues from the bounty hunter’s CG appearances on Star Wars: The Clone Wars. Now that the character’s cinematic prospects look bleak, we’ll have to settle for the exploits of a different Mandalorian when Jon Favreau’s new series hits Disney Play in 2019. The show takes place after Boba Fett’s death in Return of the Jedi. Barring an EU style escape from the Sarlacc Pit, that means we probably won’t be seeing Boba Fett in this series. How do you feel about the Boba Fett film’s cancellation? Give us your impressions in the comment section below!